This bag is designed with a double compartments concept. 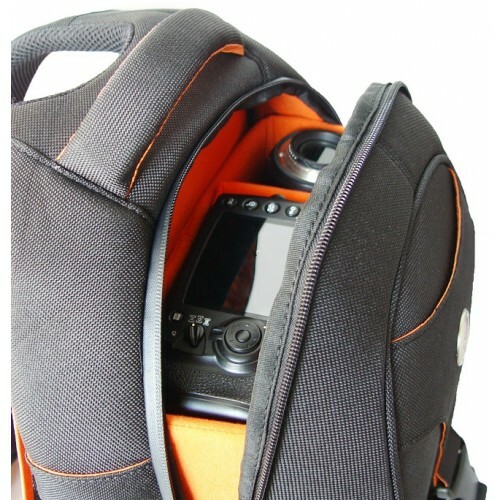 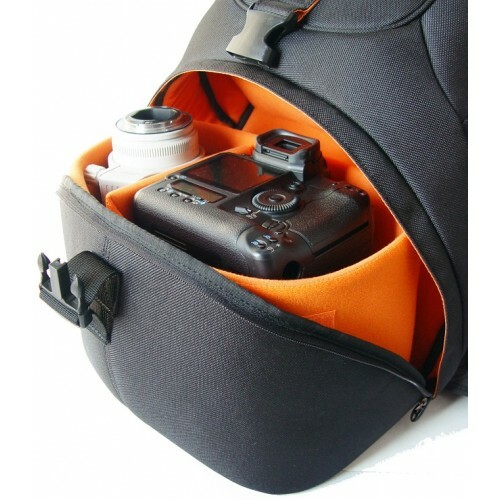 The lower compartment for a Pro DSLR with up to 160mm lens attached + 70-200mm F/2.8 lens or flash. 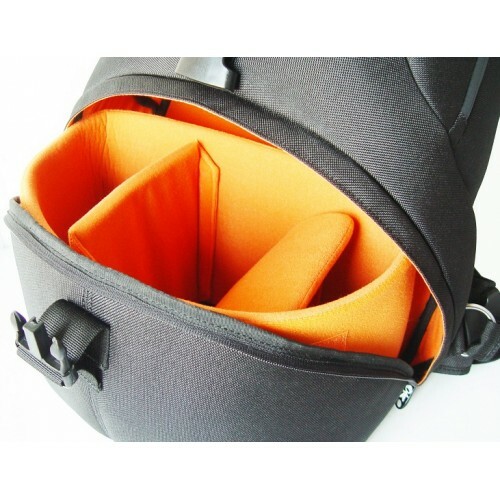 The upper compartment with organizer pocket stores for personal effects, or use the removable cushion box for extra gears. 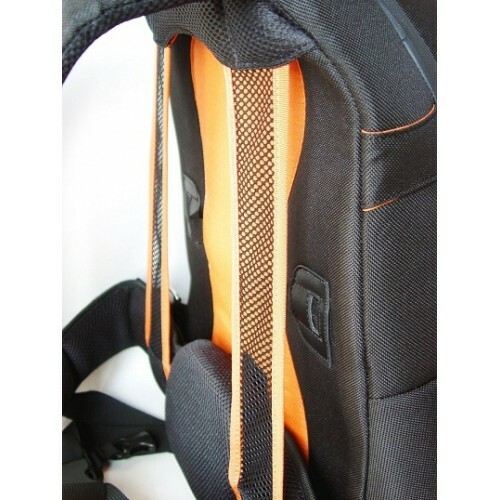 Fully padded removable hip belt is designed to transfer the weight of your gear off your back on to you hip. 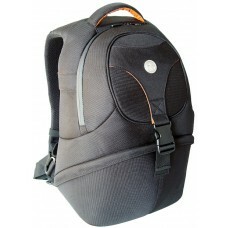 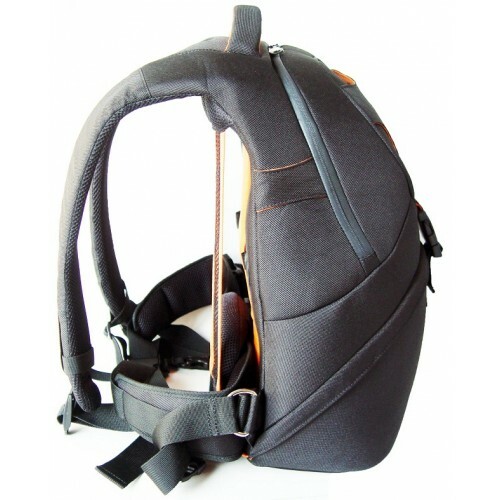 Titanium TR backing system with two full length suspended mesh strap to keep your back cool and dry for exploring.